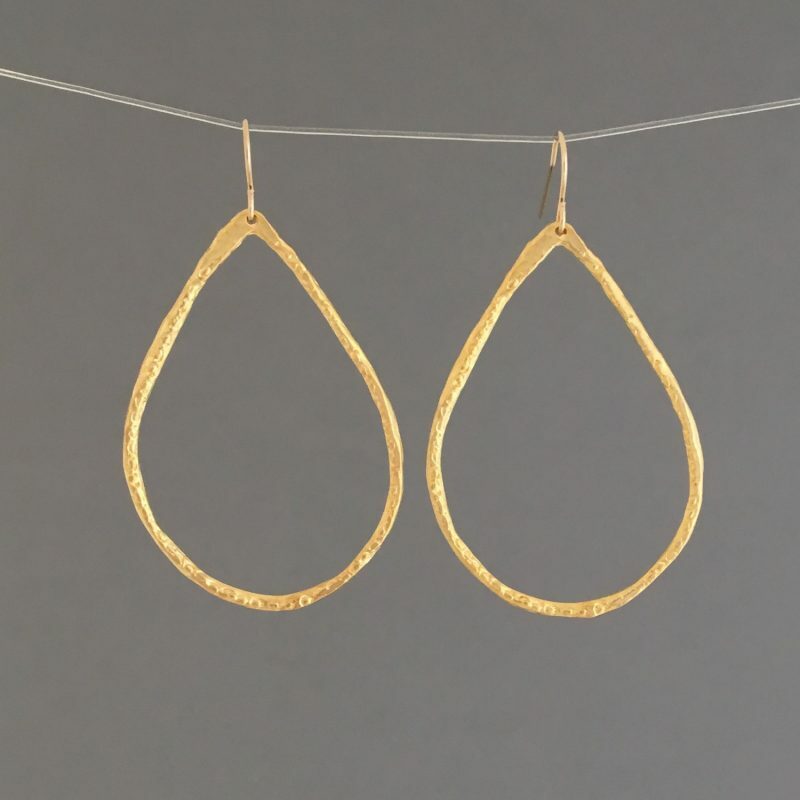 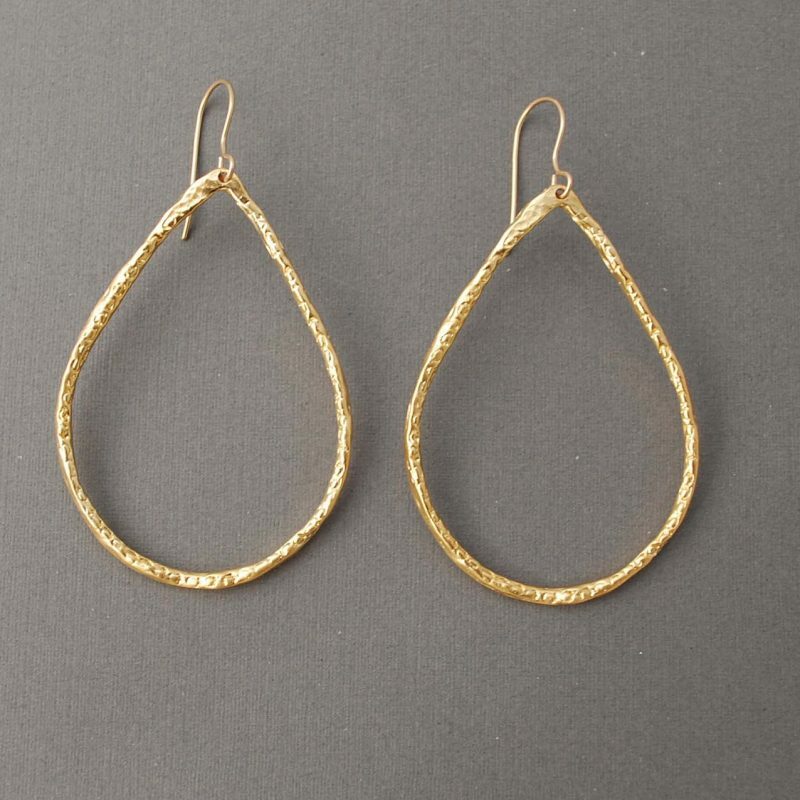 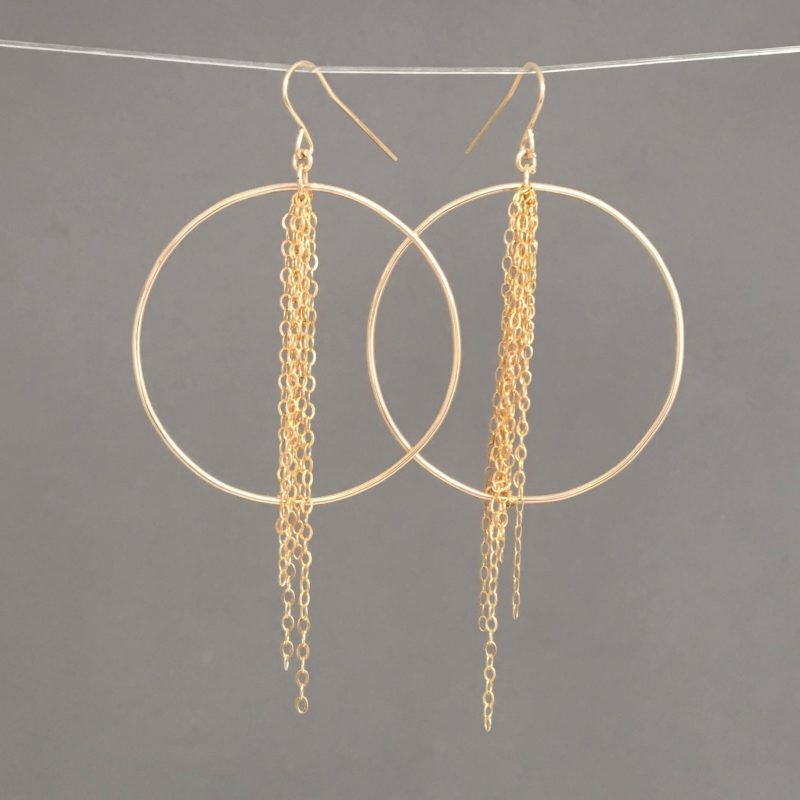 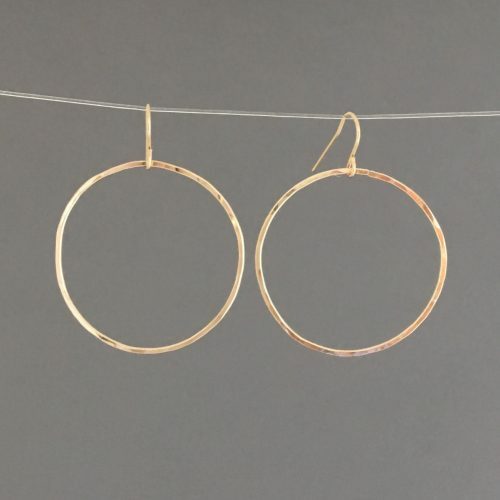 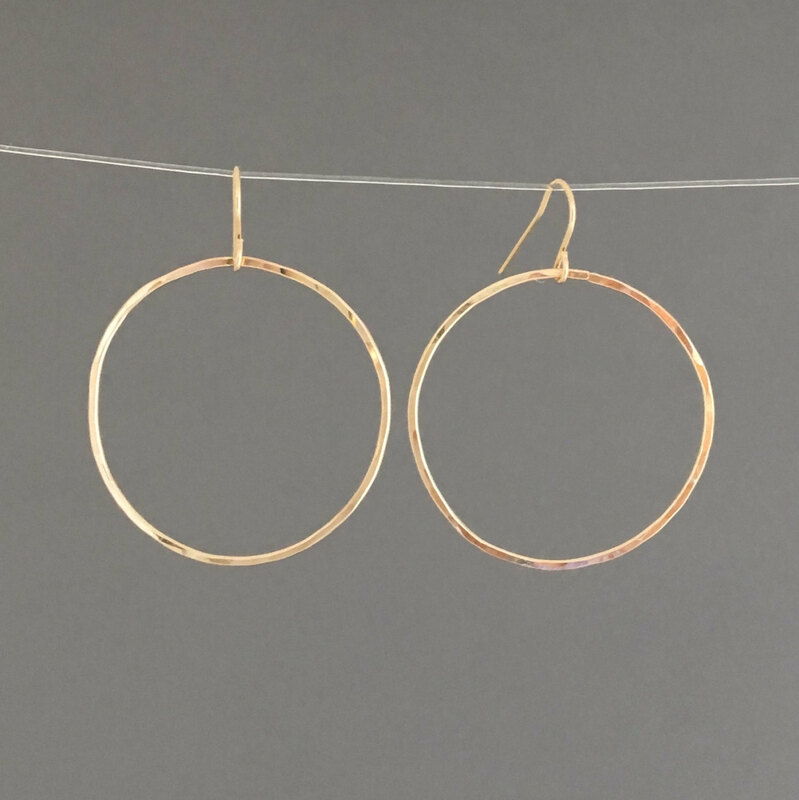 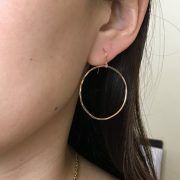 Gold fill hammered small circles dangle from gold fill ear wires. 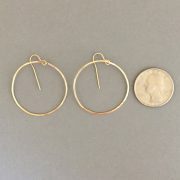 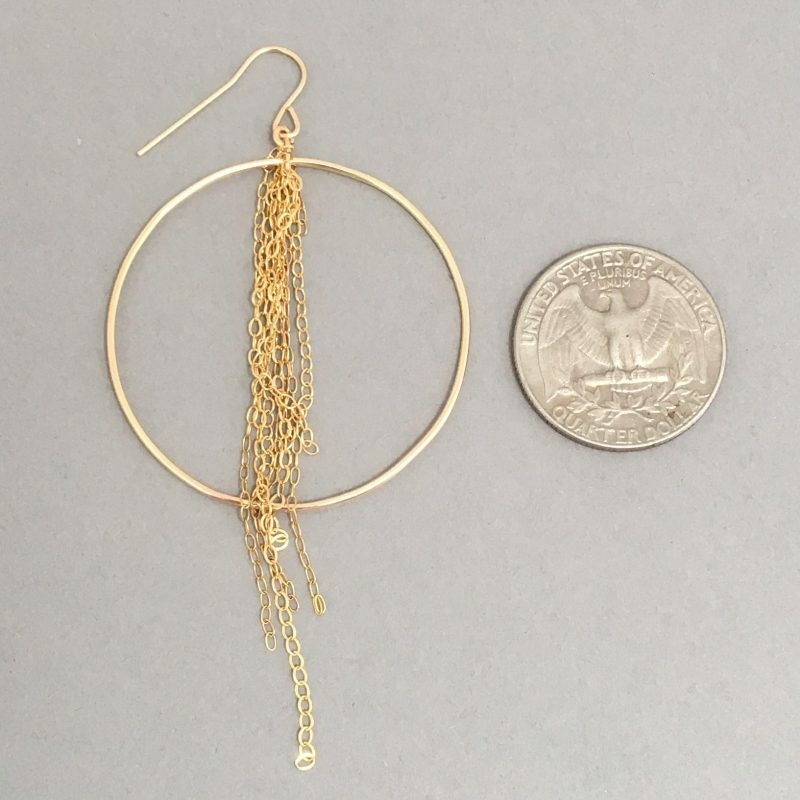 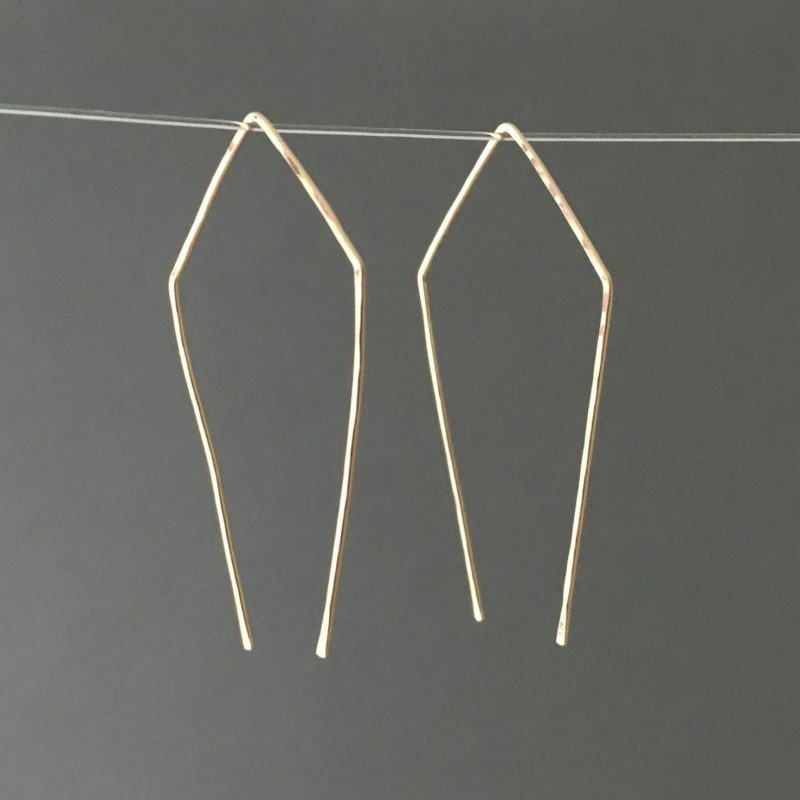 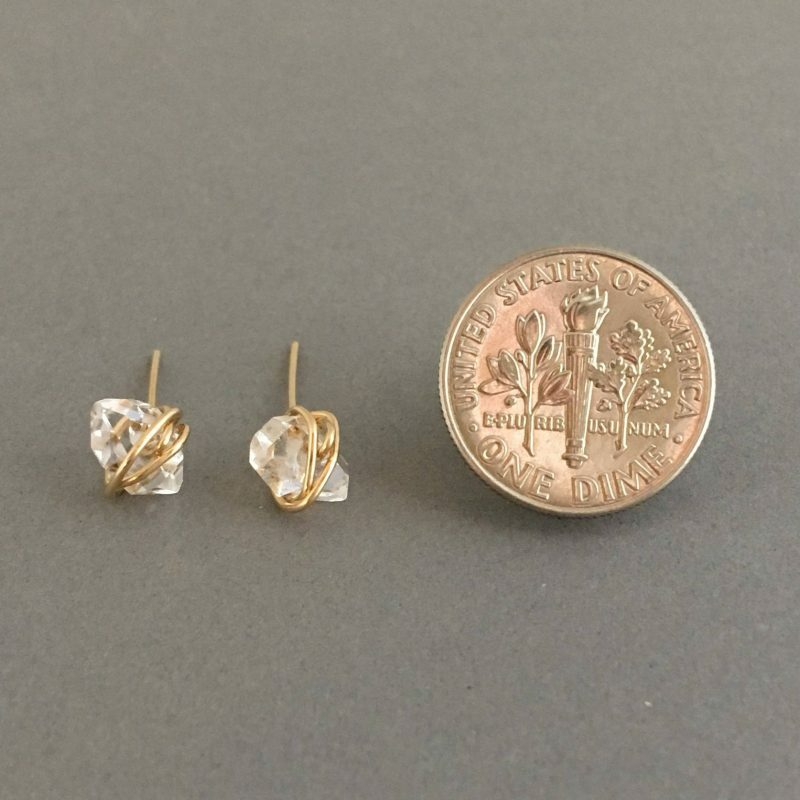 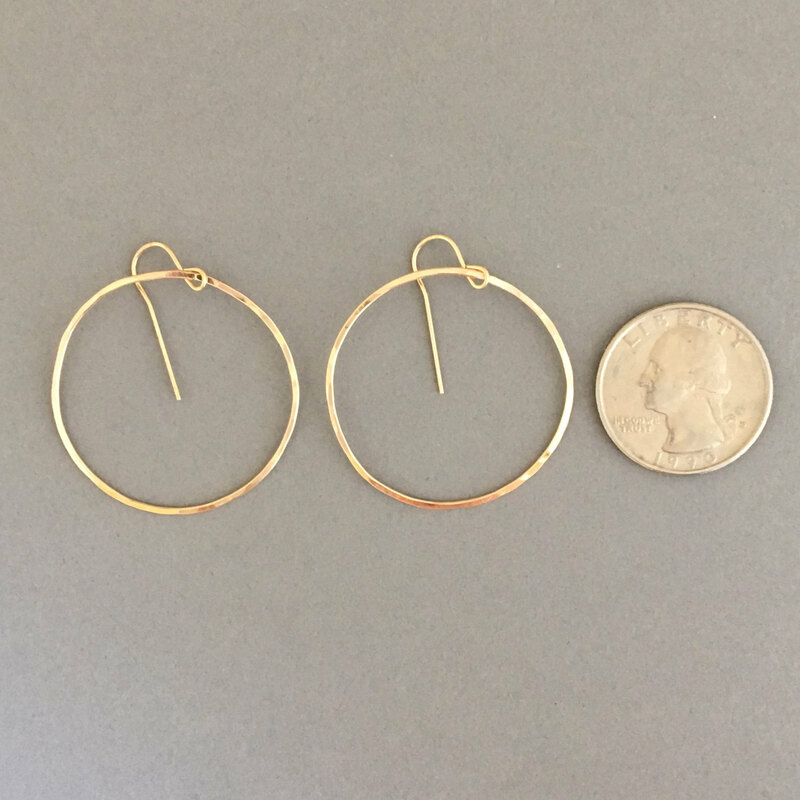 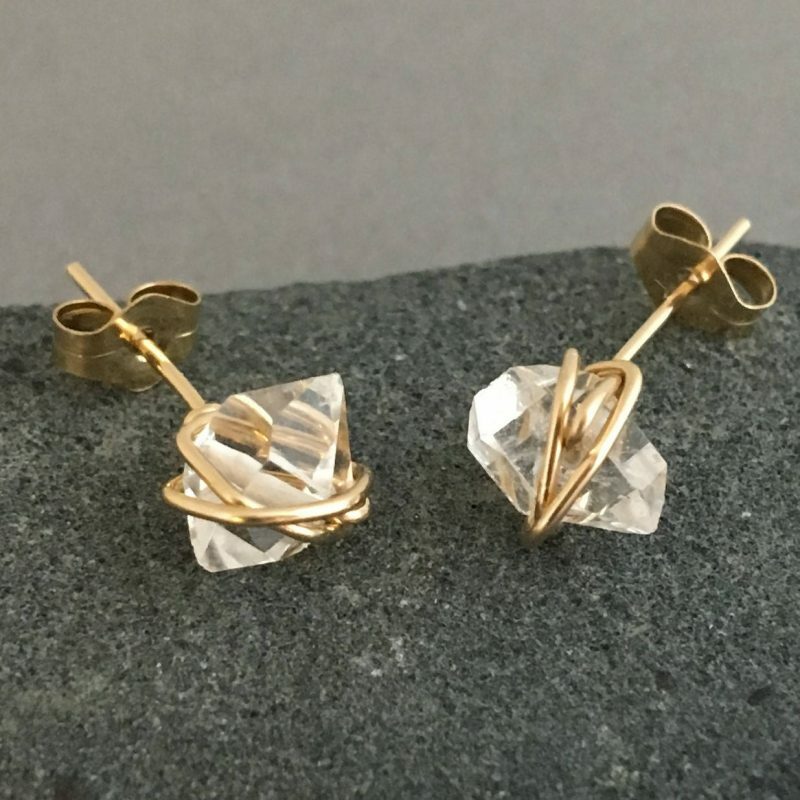 Earrings measure 1 3/8 inches wide and 1/75 inches from the top. 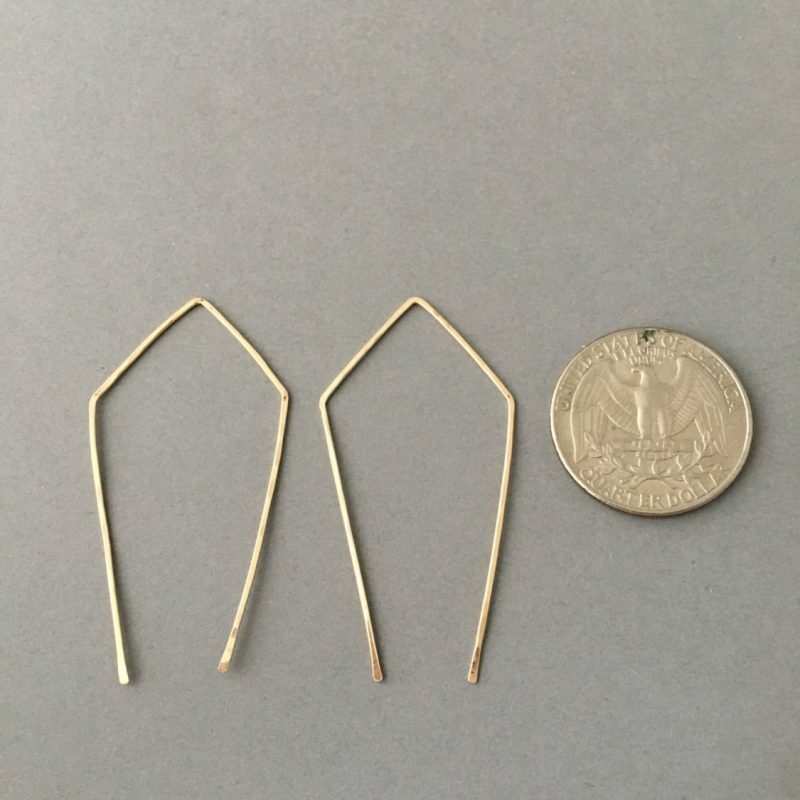 The earrings are all 14k gold fill.